Debbie owns a scrapbook business and loves to take cruise vacations. Photography is her #1 passion when she travels. 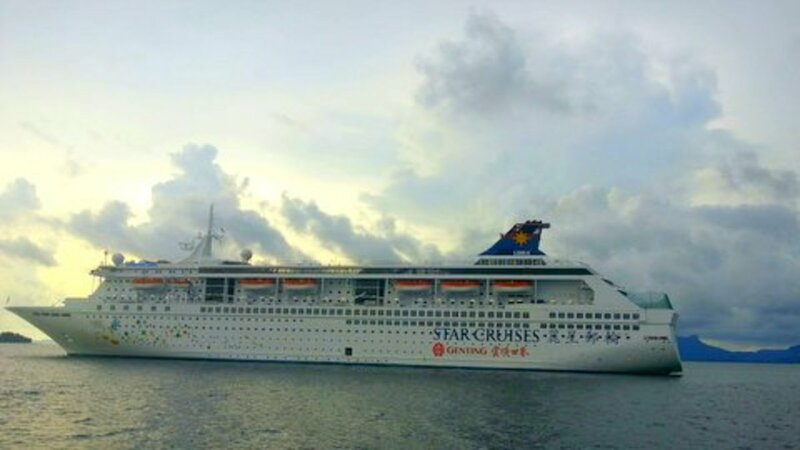 I found a few tips that I'd like to share when cruising on Carnival Imagination, or Inspiration, that I wish I would have known, prior to cruising on these two ships. Since these are sister ships, and are identical to one another with their layouts, the tips I'd like to share, refer to both of them. Many times when you're on a cruise ship that you have never been on before, you usually find that you took a scenic route to get from point A to point B, when in actuality, there was a shortcut somewhere on the ship. Many cruise ships have that "you can get there from here" going on. We found that happened to us when we cruised on the MSC Seaside earlier this year. On the Carnival Inspiration, and the Carnival Imagination, there is what we called "the secret staircase". We didn't locate it, until the 2nd day of our cruise though. We had seen it in passing, on the pool deck, but assumed it was for crew members only. The "secret" staircase is located on the pool deck (deck 10 - Lido), on the starboard (right) side of the pool area. It is inside of a glass area with a door that you have to be very careful when entering and exiting. You must step up to get in from the pool deck, and then step down once you get inside the door. It leads down to deck 9, right near the Casino area (mid-ship). 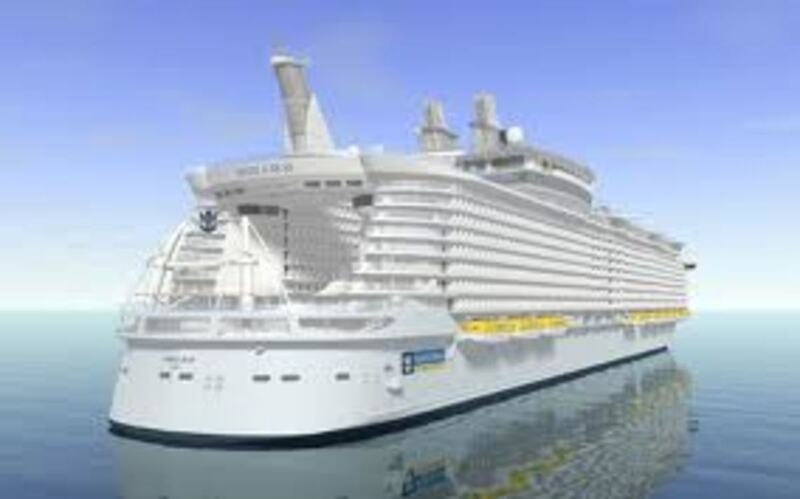 When you get on the mid-ship elevators on these 2 ships, you'll notice that the elevators only go up to deck 9. 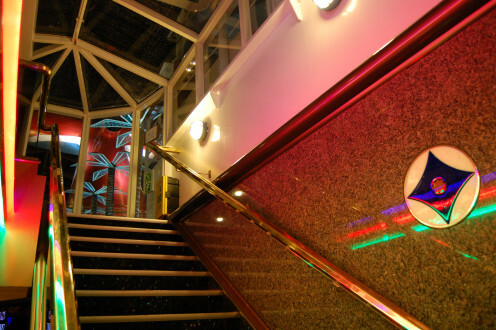 This secret staircase is a short-cut to get from deck 9 to deck 10 on the pool area. 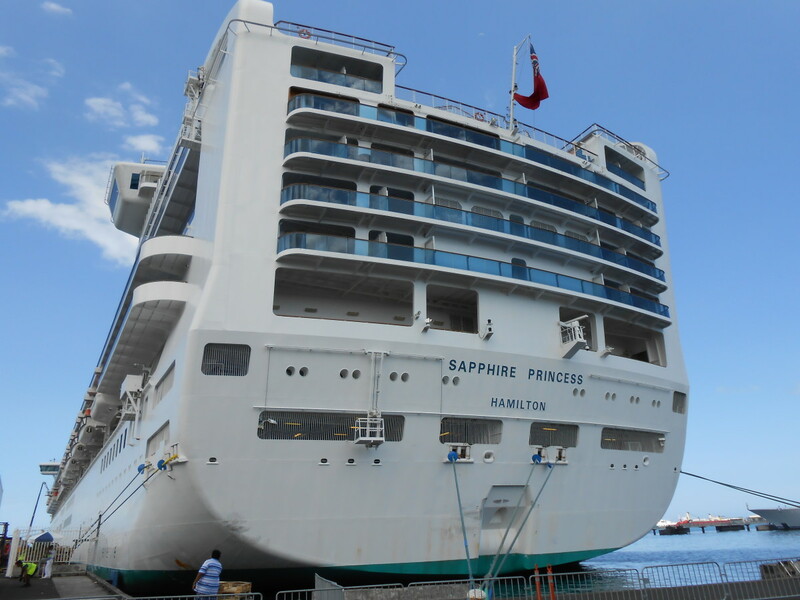 However, if you want to go to the aft buffet (Horizon), then it's best to go to the aft portion of the ship, and take the back elevators up to deck 10, since the middle elevators on the ship won't take you to that deck. It took us awhile to figure this one out. Since we had a 2 year old in a stroller, we found these 2 ships not very handicapped accessible, when getting to deck 11. 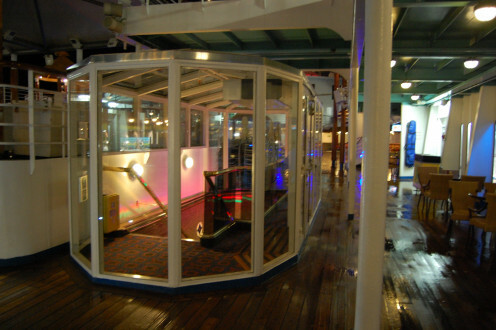 Deck 11 is where you can gain access to the very front of the ship, the miniature golf area, and the rear of the ship, which is where Carnival Water Works is located. However, getting there with a stroller, or wheelchair, can be tricky. Forget the mid-ship elevators. They will not get you there. The aft elevators will only get you to deck 10. However, the front elevators will get you to deck 11, but only the two on the portside (left) side of the ship, will get you to deck 11. The two elevators on the right side, only go to deck 10. And remember that if you're walking with no stroller and wheelchair, you can use the "secret" elevator on mid-ship, deck 9. For those that have children that enjoy chicken tenders, or prefer to eat hot dogs for dinner, remember to start dinner around 5:45pm, because the buffet at the pool deck that serves these, closes at 6:00pm. Right before the buffet at the aft portion of the ship (Horizon), opens. This way the adults can eat at Horizon, and the children can still have their chicken tenders, or hot dogs. In our case, if we arrived after 6:00pm, the children preferred to eat pizza, which is available all the time on these two ships. 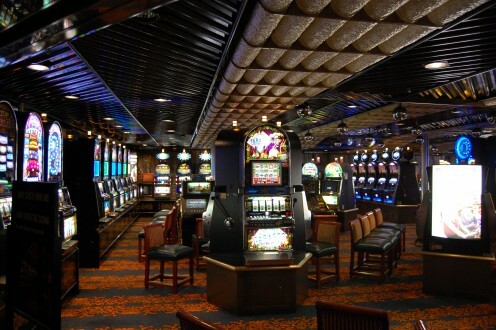 If you're using your sail & sign card in the slots, make sure to cash out on any winnings on that card at the Casino on the night before the morning you get off the ship. 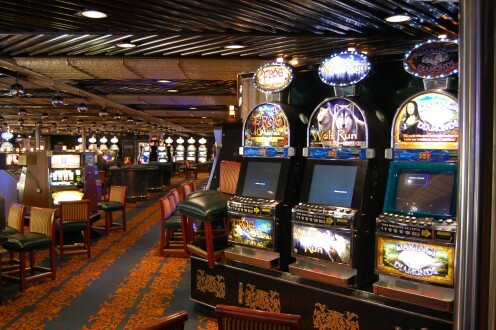 We didn't, and found out that any winnings under $10.00, they keep, and if it's over $10.00, then they'll issue a check to the address you registered with your stateroom. If you're interested in anything in the onboard store, make sure you buy it the night before you get off the ship, because once the ship gets in port for your disembarkation, the shops are not open. The ship has to be out in international waters for the shops to be open. I heard a woman ask on the morning that we were getting off the ship, about being able to buy something in the store that morning, and the store is not open at port, so make sure you get your goodies before that last day even arrives, otherwise, it will be too late.